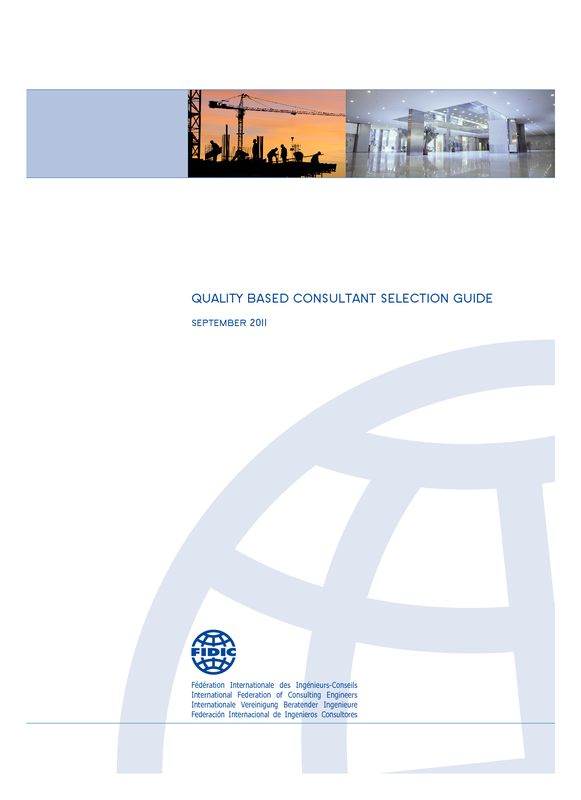 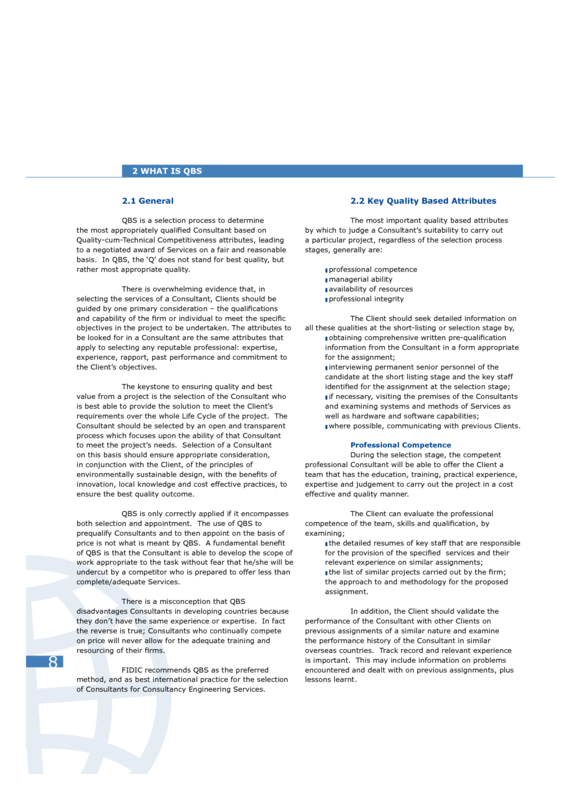 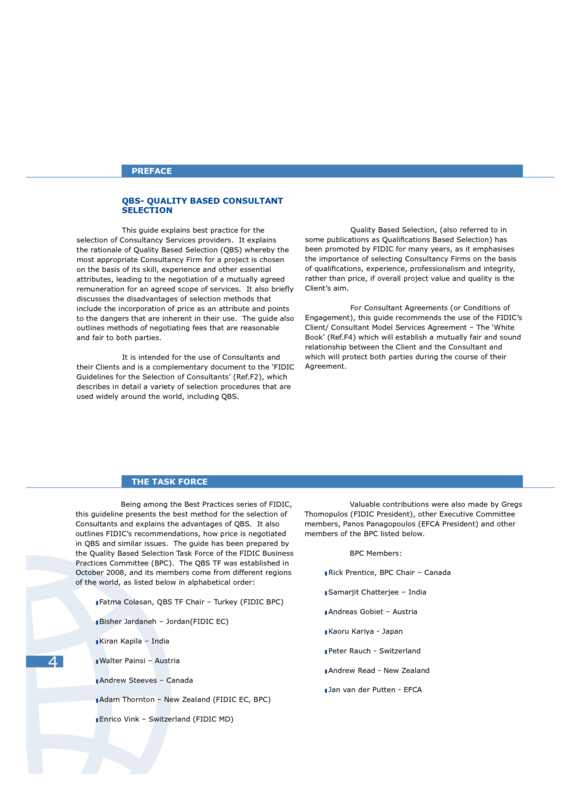 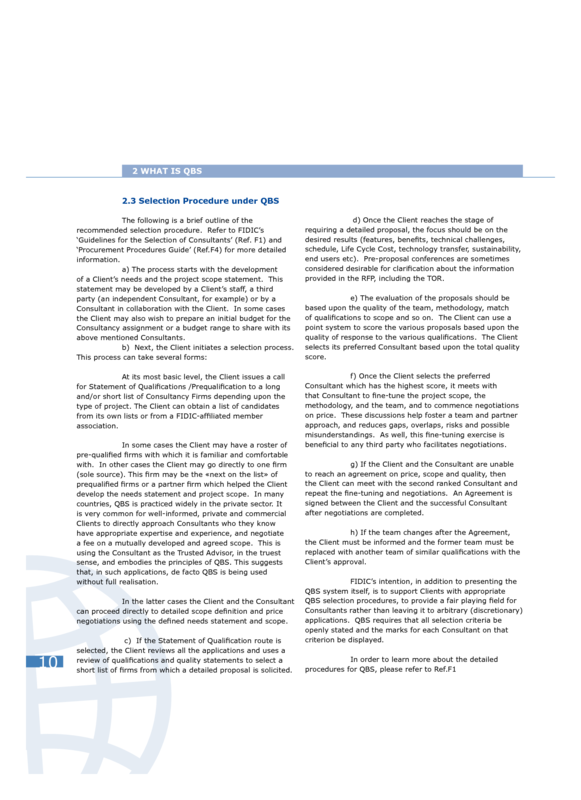 Quality Based Selection (QBS) Guidelines (2011) brochure. 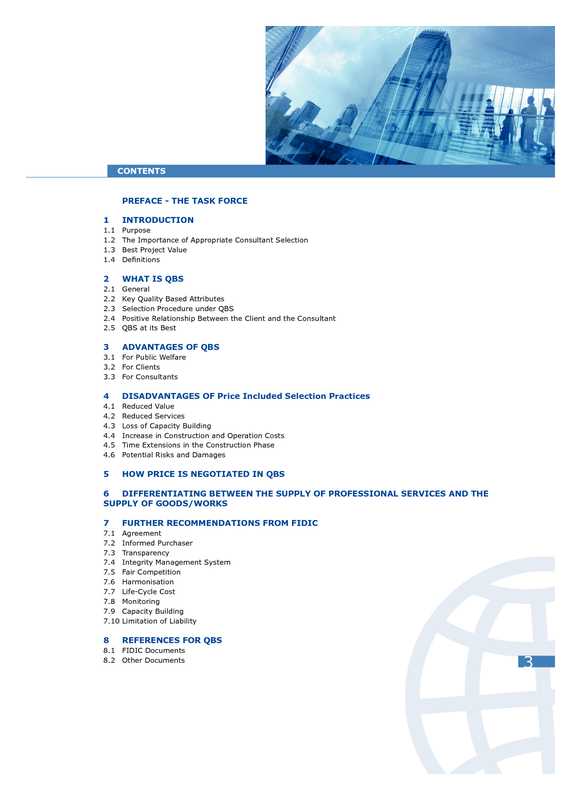 The latest publication, namely the QBS Marketing Guideline, provides support and direction for FIDIC and its Member Associations (MAs) to promote QBS. 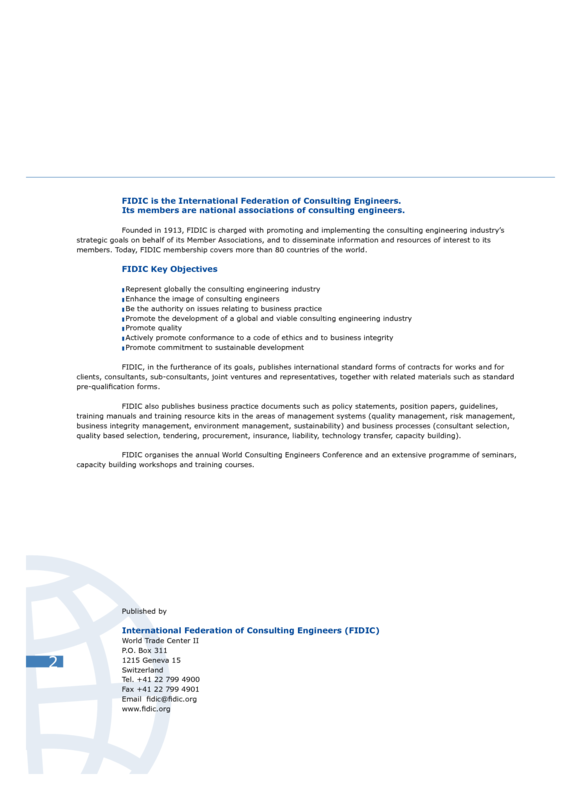 It serves as a guide for FIDIC and MA professionals who will be marketing QBS worldwide. 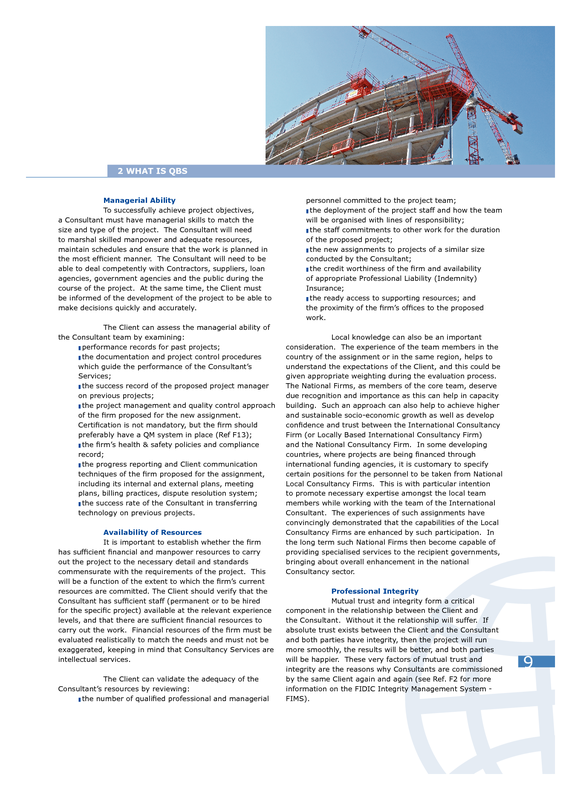 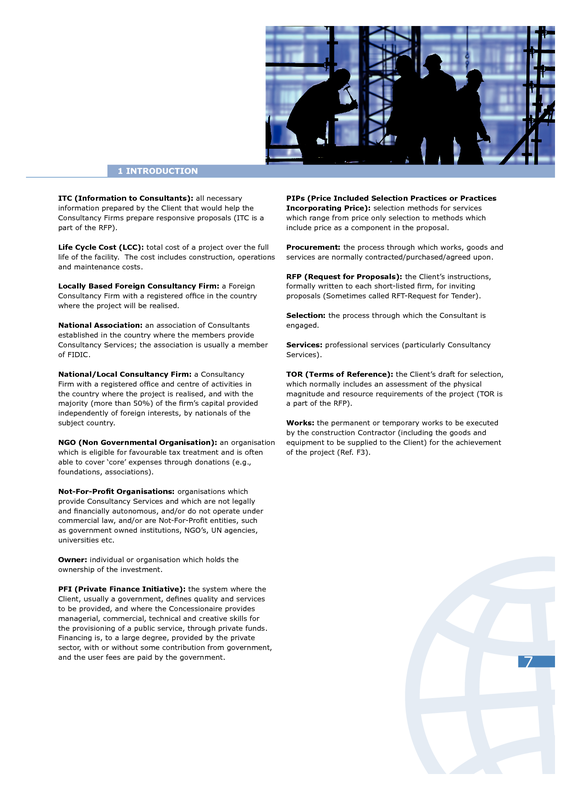 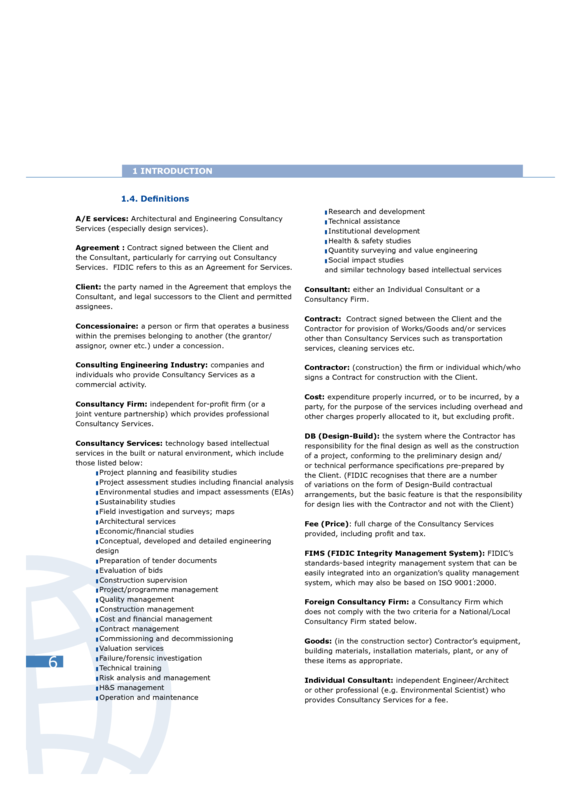 The Guideline includes sections such as the Current Situation of QBS Worldwide, Target Audiences and their Priorities, a QBS Marketing Strategy, Marketing Expertise and Tools, Monitoring of Marketing Activities, Supporting FIDIC Documents, Appendices which include Marketing Tools ( Social Media, Printed Materials, Live Events, Special E-mail Messages, Symposia and Workshops in MA Countries, Public Relations, Branding and Artwork, Mainstream Media or Traditional Media, Political Lobbying by the FIDIC President and EC Members in Member Countries, Cadre of FIDIC-developed QBS Implementation Authorities) and Current QBS Use in Public Sector Projects.